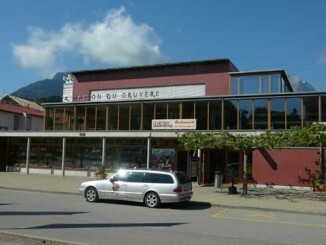 The Maison du Gruyère (which means House of Gruyere in English) is a demonstration cheesemaking place located near the city and the castle of Gruyère. The Golf de la Gruyere is an 18 holes golf course located on the east shore of Lake Gruyere, 20 km south of Fribourg and 15 km north of Bulle. Located in the Fribourg prealps and the center of Gruyere, the thermal baths of Charmey offer a unique experience of enjoying the relaxing moment of a hot bath while contemplating the magnificent landscape of the Swiss Alps. 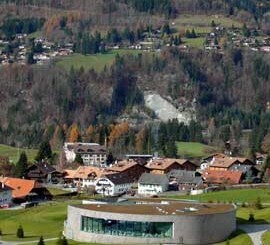 With the Swiss Prealps and the Alps located on its eastern border, the canton Fribourg proposes many small resorts that are suitable for alpine skiing, snowboarding, cross country skiing and snowshoeing. They are located in Charmey, Moleson, Paccots, Schwarzsee and the Jaun. The small resorts of Fribourg are perfect for families and beginners. For more experienced mountaineer, there is also a lot of possibility of doing some ski touring, often in locations that are less subject to avalanches than the higher summits of the Alps. The newly opened Maison Cailler in Broc-Gruyere is a place where all your senses can be immersed in the world of the famous Cailler chocolate. François-Louis Cailler brought the first chocolate recipe to Switzerland in 1819. The Casino Barriere of Fribourg is located outside the city, close the highway exit “Fribourg Nord”. 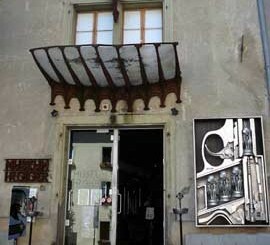 The HR Giger Museum is located in an old house of the medieval city of Gruyères. HR Giger is a Swiss artist internationally famous as the creator of the Alien creatures, a movie that gave him an Oscar in 1980. The Jean Tinguely & Niki de Saint Phalle Museum in Fribourg is linked to the Museum of Art and History (MAHF) located in the center of Fribourg, a 10 minute walk from the train station.